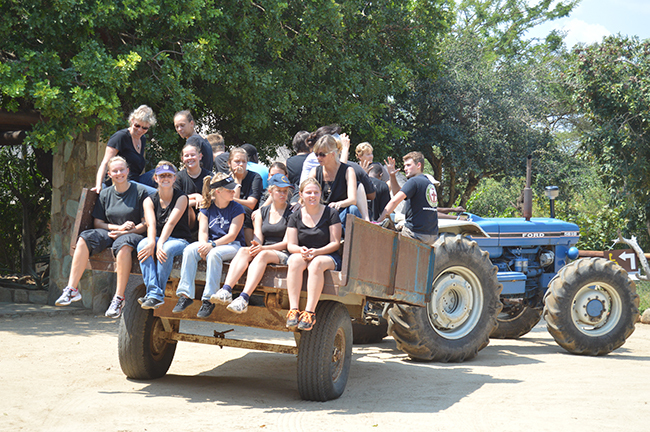 On the last day of February, a group of students from the Hoedspruit Christian School came to visit the Centre. It was no ordinary school field trip – the students were there to give back to the community by helping to build our new open-air information centre. 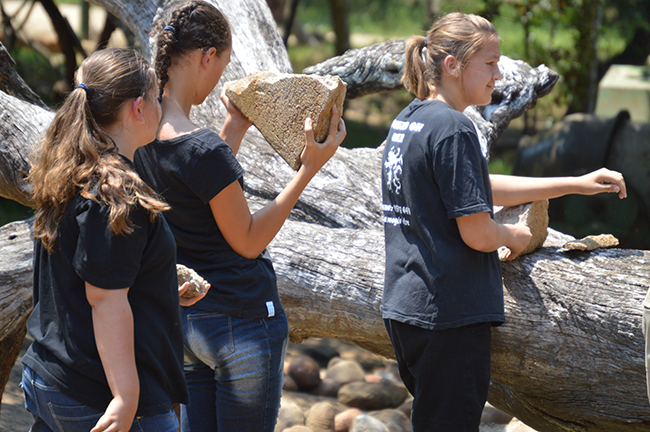 The team of volunteers diligently carried rocks back and forth through the building site, which will eventually comprise of an information island within an animal enclosure. “We decided to bring our students here because we see what good work is being done, and we would like to give our services to help,” says teacher Marlene Potgieter, “This is such a privilege to be here”. Ms Potgieter explained that doing community service is a good opportunity for the students to learn to work together while getting out and being exposed to new things. 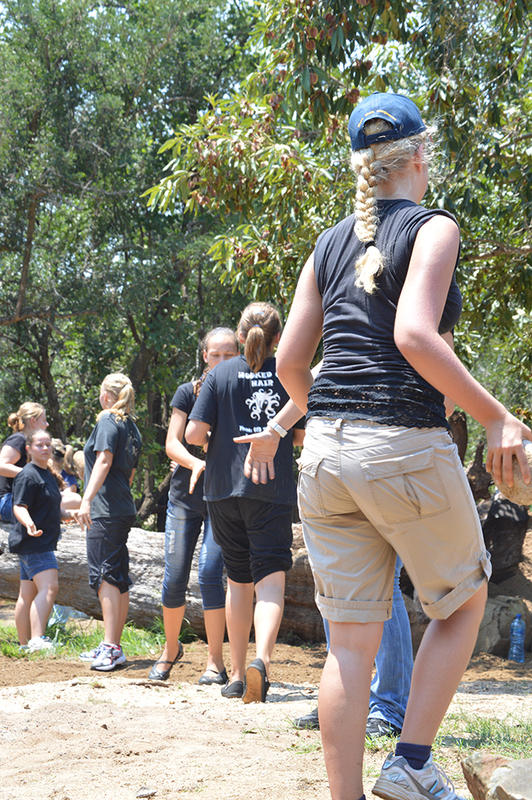 Judging by the smiles on their faces, the hardworking scholars were enjoying their teambuilding experience! 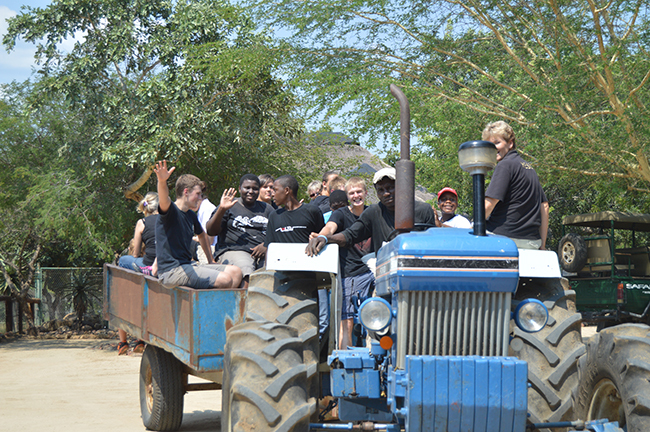 The students were then treated to a tractor ride through Kapama to our residential area where they cooled off with a swim. 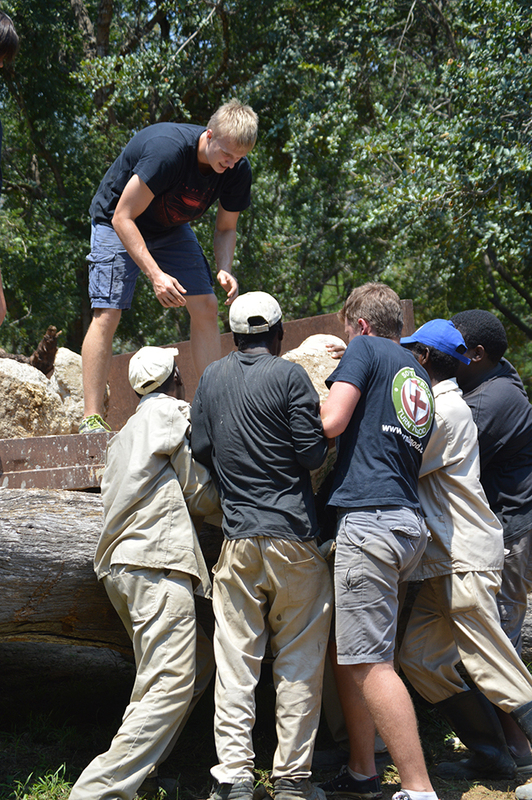 The HESC team would like to thank the Hoedspruit Christian School for lending us their helping hands for the day. All the best with your studies!